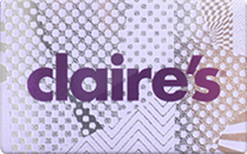 Claires Fashion Jewelry and Accessories for Girls sells the latest trends in jewelry & accessories for girls and teens. Find must-have hair accessories, stylish beauty products and more. Buy a discounted gift card to get savings on top of coupons and promotions.